Marketing matters. Even for freelancers. Especially for freelancers. Here are the things that work for me when I was a freelancer. Wake up! No marketing = no business. This realisation is the necessary starting point. Brand you. For freelancers, Tom Peters' book The Brand You 50: Reinventing Work is fundamental. You are selling yourself as much as your time and services. Everything you do is marketing. The Trusted Advisor. David Maister's book (The Trusted Advisor) is full of good marketing advice for freelance consultants and professionals. Allocate time. It's really important to carve out time every day to do some kind of marketing activity. It's also important to dedicate a day or two every month (more if you're starting out). There's are no big bangs in marketing but you can make the universe expand steadily. Getting up early can create extra time for marketing. Daily pitch. The daily pitch is something that worked really well for me when I was a journalist. I'd just email an editor with a story idea once a day. Now, I try to contact a customer or prospective customer every day in one way or another. I might try to set up a meeting, make a call, send an interesting link etc. Sometimes, it's just about keeping the lines of communication open. It's all about personal contact. Meetings are marketing too. If possible, never turn down an invitation to a meeting. Sometimes, those tedious interruptions are your best marketing opportunities. Big companies love big meetings and they are a good way to meet new people at your existing clients. Don't be afraid. If you have confidence in what you do, there is no reason to fear being thought 'pushy'. Marketing isn't like selling second hand cars. You are trying to reach people who NEED what you have to sell and who would be customers if only they knew you existed and could help them. I think perhaps this reluctance is a peculiarly English phenomenon. Think about technique. I really like Chris West and Mike Southron's Sales on A Beermat. It's short (always good) and it contains really helpful tips about how to make a pitch and how to generate new business. One tip which is very good for initial contacts is to ask for a ten minute meeting to introduce yourself. There aren't many people who can't spare ten minutes if it might be useful to them. Try different things. When I started Articulate Marketing, I hired a PR company, started a blog and ran some seminars. The blog was fun and helped a little. The seminars were fantastic and generated a lot of business. The PR didn't help at all. 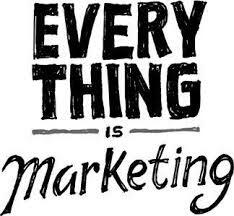 There are no guarantees in marketing and the best approach is experimental and based on evidence. Keep track of pitches. I use Excel to track pitches and opportunities. I do this because I keep my accounts in Excel too (I know, my accountant wants to shoot me too.) But it gives me a single page where I can see my sales pipeline, orders, work in progress, invoices outstanding, VAT and tax liability. It's like a business control panel. I get away with Excel because my business is relatively simple from a bookkeeping perspective. (In my last business, I used Sage and had to employ a bookkeeper and a financial controller to tell me the same information and it was always about a month after the fact. Never again.). React fast. It's vital to react quickly to requests. A good reputation in my business comes from delivering good quality work, on brief, on budget and above all on time. However, occasionally, my clients need me to pull a rabbit out of a hat. Delivering a 2,000 word article over a weekend can save a client's skin and people remember that stuff. In practical terms, it means being constantly available by phone and email, returning calls and emails promptly and occasionally working over the weekend. Importantly, it means seeing all this as a marketing opportunity not a huge drag. Automate processes. I have a template for briefs which helps me produce a good, detailed brief for my clients very quickly. It saves them having to write it and it helps me look efficient and thorough. It's all about thinking through the process in advance and automating or streamlining as much as possible. Your obvious is your talent. An editor at Wired told me that if I wanted to write about everything, I had better be the best writer in the world. Better to be the go-to guy for aviation articles than a hack writing about every topic under the sun. As a freelancer, it's really difficult to do everything well. Better to be a deep expert in one area and cultivate a network of agencies, friends and colleagues who can fill in the gaps. Seminars. I regular seminars and they are very effective ways to bring in new clients and new work. It takes a bit of organising and you have to talk about something that a) is interesting to an audience and b) lets you display your talents without being too commercial. I'm thinking of running the seminars again but perhaps with more focus on social media and blogging. Blog. My blog has only generated a small amount of work directly. However, it has been fun. It helped me refine and think through my ideas. It also helped establish my credentials when it came to pitching a couple of corporate blogs. It has also been a very valuable aid to search engine optimisation. Website. My website, www.articulatemarketing.com, gets many fewer visitors than my blog but I guess people who go there actually want to know about my business. The first thing most people do when they get an email or a pitch from a company is look up a website. Companies without a website (or for that matter their own email domain name) look like small beer. Follow-up. "Is there anything else I can do to help?" Doesn't hurt to ask? Add value. Setting up extranet to act as a library for deliverables and a way of sharing progress and deadlines with clients (I use Basecamp) is one easy way to add value. In my case, hiring a professional proofreader to check my paid-for work (but not my blog - I'm too cheap) and having proper professional indemnity insurance are two other ways. Become an expert. Spend the time to understand your customer's products and services. For example, I bought and installed Microsoft Small Business Server 2003 before I wrote about it. Upsell. Would you like to supersize that? There's always some extra work or value you can offer. If they want a case study, why not offer a good deal on a PowerPoint 'win card' based on the same copy? Attach. Would you like fries with that? If they want some website copy, why not offer them a website review as well? Intra-company recommendations. My biggest source of new business is new people inside my existing clients. I don't think it hurts to ask your customers if there's anyone else they know who might be able to use your work. I find that the more work I do for a given client, the more connections I am able to make for them. For example, I can write about notebooks for HP but I can also link their services and so on because of other projects I've done for them. Get rostered. This is the key thing with big clients. Once you're a rostered agency, it's easy for new people inside big companies to hire you. If you have a unique and valuable service someone will find a way to add you to the roster of approved suppliers. Finding such a champion and offering such a service is the right way to go about it. Going via the purchasing department or as a subcontractor to another agency is a guaranteed way to slash your margins. In my experience, it also constrains your ability to do the kind of good work that the customer wants. Find a flagship client. I was very lucky to be hired by Microsoft for a project early on. A flagship client is like a passport to other companies. Find a better market. I used to do a lot of journalism. In many ways it was harder than the corporate writing I do now. For instance, I had to spend a lot of time developing and pitching stories. Also, there was a lot of people who wanted to be freelance journalists so it didn't pay very well. The biggest change in my life came when I decided that I didn't want to play that game any more. Instead of free-pitching magazine editors for badly-paid articles, I switched to a different market altogether. Stuff that doesn't work: In my experience lots of stuff doesn't help: fancy business cards, brochures, mail shots, random cold calling, PR.